Chevrolet Cruze Safety & Braking Pros and Cons | Page 1 of 1 | Why Not This Car? What drives people to buy (or not buy) a certain car? 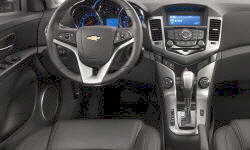 TrueDelta's members share Chevrolet Cruze pros and cons based on their real-world driving experiences. 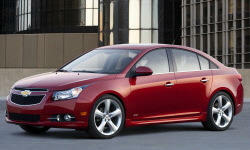 The downfall of the Chevy Cruze is well on its way! I have had to take the car multiple times to the dealer to repair noisy brakes in the front as well as the rear. The most recent problem now is the malfunctioning of the brake assist, which has only been discovered due to an increase in low speed accidents.